What is Asthma and how Common is it? Asthma is a chronic respiratory disease characterized by a sudden constriction of the bronchial tubes causing difficulties in breathing, chest constriction, and coughing (Canadian Institute of Child Health). According to the 1998 Sentinel Report based on a Health Canada student lung survey, the physician-diagnosed asthma rate for school-aged children is 13%, which represents approximately 500,000 Canadian children. Nova Scotia’s rate is 17%, the second highest in the country. The Canadian Center for Disease Control has reported a threefold increase, over 20 years, of asthmatic deaths…mostly teenagers and young adults. There are several factors, both genetic and environmental, that can contribute to the development of asthma. Asthma is caused when the airways become sensitized to one or several substances. Some researchers estimate that, for 60 to 80 percent of asthmatic children over the age of six, the disease is associated with allergies (Zimmerman et al.). 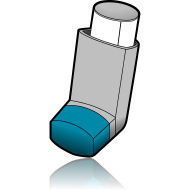 Asthma can be triggered by biological or chemical allergens or irritants. Some of the most common biological allergens that affect asthmatics are pollens produced by weeds, grass and trees, dust mites, animal dander, cockroaches, bacteria and mold. Dr. Margaret Sears, in an in-depth report, dated May 2007, entitled The Medical Perspective on Environmental Sensitivities, concluded that the risk factors for developing childhood asthma are primarily allergic. Children who were allergic to cat dander and house dust mites, as well as tobacco smoke, were roughly five times as likely to have asthma. Dr. David Miller, researcher at Carleton University, suggests that at least 20% of asthma may be due to molds. Chemical irritants include wood and tobacco smoke, combustion gases such as sulphur dioxide and carbon monoxide, and volatile organic compounds (gases that are released into the air from construction and installation materials such as carpets and office furniture). Air pollution not only triggers asthma, it exacerbates asthma symptoms. Studies have shown that children with asthma are more sensitive to air pollution and particulate matter. Research has shown that indoor and outdoor air pollution reduce lung function and send children to hospital emergency rooms (Raizenne et al.). Health effects associated with both indoor and outdoor air pollution include increased respiratory illnesses, aggravation of asthma, increased frequency of physicial visits for cough and ear infections and decreased lung function (Canadian Environmental Health Network (CEHN), Natural Resources Defense Council). Air pollution affects children more than adults because their lungs are still developing, their airways are narrow, and they have a more rapid rate of respiration thus inhaling more pollutants per pound of body weight (Bearer). Children also engage in vigorous outdoor activities, which increase respiration rates. In addition, because of their height and play activity, children are more likely to be exposed to pollutants closer to ground level where heavier particulate such as automobile exhaust, lead and pesticide dust tend to accumulate. Particles of five micrograms and larger are usually removed by the upper respiratory system, but particles smaller than 2.5 micrograms will enter into the lungs and cause lung tissue irritation. It is estimated that up to 90% of some pollutants can be filtered through the nose before reaching the lungs. Children, however, tend to breathe through the mouth instead of the nose, bypassing the nasal filtration system and allowing these particles to enter the lungs. Ground-level ozone (smog) is a gas created when sulfur and nitrogen oxides, combined with volatile organic compounds, interact with sunlight. Outdoor sources of ground-level ozone are vehicle emissions, industrial smoke stacks, incinerators, smelters, refineries and power plants. Research shows the correlation between high amounts of ground-level ozone and increased hospital emergency visits and admissions amongst asthmatics. Indoor sources of ozone, such as electrical motors, can also be a problem. Of special concern are certain air purifiers that claim to make indoor air “fresh” by increasing the ozone levels. Health Canada warns consumers to avoid ozone-producing air purifiers. Ozone has been associated with coughing, wheezing, tightness in the chest, upper and lower respiratory irritation and decreased lung function (Canadian Institute of Child Health (CICH), Dockery and Pope). Ozone can permanently damage lung tissue. Exposure to ozone has been linked to increased asthma rates in children as well as reduction in lung function (CEHN). Volatile organic compounds (VOCs) are a common form of indoor air pollution that can cause respiratory irritation. Examples of VOCs are tobacco smoke, combustion gases, personal care products, formaldehyde, office equipment, furnishings, cleaning chemicals, carpets, science labs and auto body shops. There is much evidence that environmental tobacco smoke (ETS) is a risk factor for the asthmatic child. The Ontario Medical Association (1996) reported that children who breathe ETS have more severe asthma attacks and more breathing problems than children who live in smoke-free homes (Pollution Probe (PB) and CICH). In addition, there is evidence that children of smoking mothers require more frequent emergency room visits and need more medication for their asthma than do children of non-smoking mothers (EPA). Combustion gases can be found both indoors and outdoors. Combustion gases originate from furnaces, boilers, water heaters, space heaters, fireplaces, wood or coal stoves, gas ranges, vehicle engine exhaust, welding and soldering. Fragrance chemicals can cause respiratory distress and trigger asthma attacks. In an article published in the American Journal of Medicine (1986), Drs. Shim and Williams report that 72% of asthmatics have respiratory symptoms upon exposure to perfume. A study reported in the Annals of Allergy and Asthma Immunology (November 1995) showed that perfume strips in magazines caused exacerbation of symptoms in asthma patients. Another study reported in the same journal (June 1996) showed that fragrance chemicals triggered asthma symptoms. Both the American Lung Association and the Canadian Lung Association cite perfume as an asthma trigger. The American Academy of Allergy and Immunology routinely warns asthmatics to avoid exposures to perfumes, as well as to other chemicals such as paints, thinners and ammonia, since these volatile compounds can trigger asthma attacks by stimulating already irritable airways (Kosta). Formaldehyde is a common chemical used in many products such as construction materials, paper products, personal care items, textiles, furniture, fertilizers, insecticides, paint and waxes. Effort is being made to remove formaldehyde from use because it is a carcinogen. However, formaldehyde can also cause eye, nose, throat and upper respiratory tract irritation as well as trigger asthma attacks (Schmidt Etkin). Some studies are indicating that formaldehyde can cause new asthma, occupational asthma in particular, in previously healthy individuals (Marbury and Krieger). Office equipment such as photocopiers, fax machines, printers, laminating and duplicating machines emit ozone and/or VOCs that may be a health hazard for asthmatics. Maintenance chemicals are frequent sources of problems for an asthmatic child. Many maintenance products such as paints, varnishes, floor waxes, polishes, strippers and cleaning products emit VOCs that can cause respiratory distress. Low-emission or non-toxic alternatives are becoming more available. Carpets are known to contribute to respiratory problems for several reasons. The chemical composition of the carpet, underlay and adhesives often offgas VOCs. Some of the chemicals found in carpet emissions tests are acetone, formaldehyde, toluene, styrene, hexane, benzene, xylenes, and ethylbenzene. Carpets may also be treated with pesticides or fungicides, and may be chemically treated to be stain or fire resistant. The carpet industry is working to remove harmful chemicals from their products. However, carpets tend to retain dirt and dust, along with allergens including mold and dust mites. Carpets must be cleaned as thoroughly and as often as hard floors. The cleaning chemicals used for carpets are another risk factor, and the processes required are much more complex than for hard floors. Chemical contaminants in ice rinks (emissions from the Zamboni) and at swimming pools (chlorinated compounds) cause risks to asthmatics. Teachers need to be aware of possible allergens and contaminants in their classrooms such as chemicals found in school supplies, art materials, and science labs as well as dust from woodworking and auto body shop activities. Printing and photocopy chemicals, scented markers or cleaning products brought from home all pose risks to asthmatics. Establish a Scent-Free program to eliminate the use of perfume, cologne, scented products, antistatic products, air deodorizers, scented markers, liquid correction fluid, and toxic cleaning products. Schedule maintenance activities for when students are not present and use safe work practices including isolation techniques. Avoid pets, plants and composters in classrooms. Use dust-free chalk and/or white boards with non-toxic markers and clean boards and ledges frequently. Maintain a rigorous cleaning and dusting schedule with damp cloth and HEPA vacuums. Remove carpets from all classrooms. Use safe work practices during removal. To reduce formaldehyde and VOCs, select products carefully and allow “offgas” time for new furniture and building materials. (See “flush out” period articles on CASLE’s website: casle.ca)) Place all equipment that emits VOCs or ozone in well-vented areas away from classrooms. Upgrade and maintain an efficient HVAC system that includes regular cleaning/replacement of filters and clean air ducts. Repair any leaks quickly to avoid mold growth. Maintain a “no-vehicle idling” program especially near classroom windows or air intakes. Modify the curriculum to meet the needs of an asthmatic student. Provide educational programs for all staff and students. Request information from the child and/or parents about the child’s medication and about allergens and conditions that might trigger an asthma attack. Asthma and other respiratory diseases in children significantly increase school absenteeism, hospital visits and health care costs. It is imperative that concerns regarding environmental contaminants in and around schools be addressed in order to provide a healthy environment for the asthmatic child. A safe, clean environment is as important to learning as are a good curriculum and good teaching. Bearer, C., M.D., Ph.D. (1995). Environmental health hazards: How children are different from adults. The Future of Children, 5(2). Canadian Institute of Child Health and Pollution Probe. (1998). The air children breathe. Toronto. Children’s Environmental Health Network. Asthma and respiratory diseases. Emeryville, CA. Dockery, DW. and CA Pope. (1994). Acute respiratory effects of particulate air pollution. Annual Review of Public Health, 15:107-132. Marbury, Marion, Sc.D., and Robert Krieger, Ph.D. (1991). Indoor air pollution. ed. Samet, J., M.D. and J. Spengler, Ph.D., Baltimore, MD: The Johns Hopkins University Press. Natural Resources Defense Council. (1997). Our children at risk. Chapter 4: Air pollution. Raizenne, M., BSc., Dales, R., M.D., Burnett, R., Ph.D. (1998). Air pollution exposures and children’s health. Canadian Journal of Public Health. Respiratory Disease Division, Bureau of Cardio-Respiratory Diseases and Diabetes, Laboratory Centre for Disease Control, Health Canada. (1998). Childhood asthma in Sentinel health units. (Report of the Student Lung Survey Results 1995-1996). Schmidt Etkin, D., Ph.D. (1992). Office furnishings/equipment & IAQ: health impacts, prevention & mitigation. Arlington, MA: Cutter Information Corporation. Shim, M.D. and Williams, M.D. (1986). Effects of odors in asthma. American Journal of Medicine. Vol. 80. U.S. EPA. (1992). Respiratory health effects of passive smoking: Lung cancer and other disorders. Zimmerman, Dr. Barry et al. The Canadian allergy and asthma handbook. Random House: Mississauga, ON. 1991.